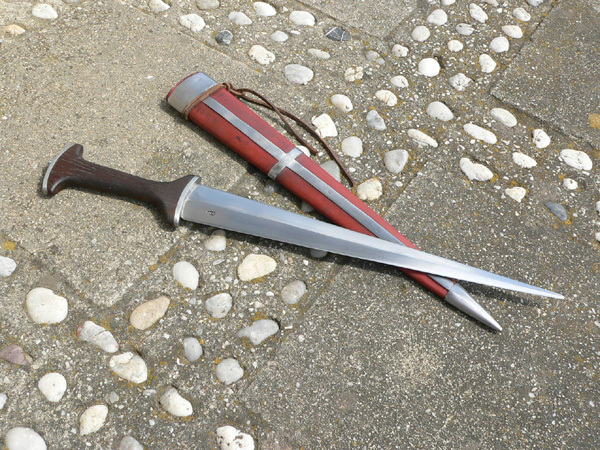 Well, there have been threads on the other varieties of daggers. So Baselards should be there too. I know these are quite scarecly reproduced. But maybe there are some nice ones out there. I envy that baselard Felix! 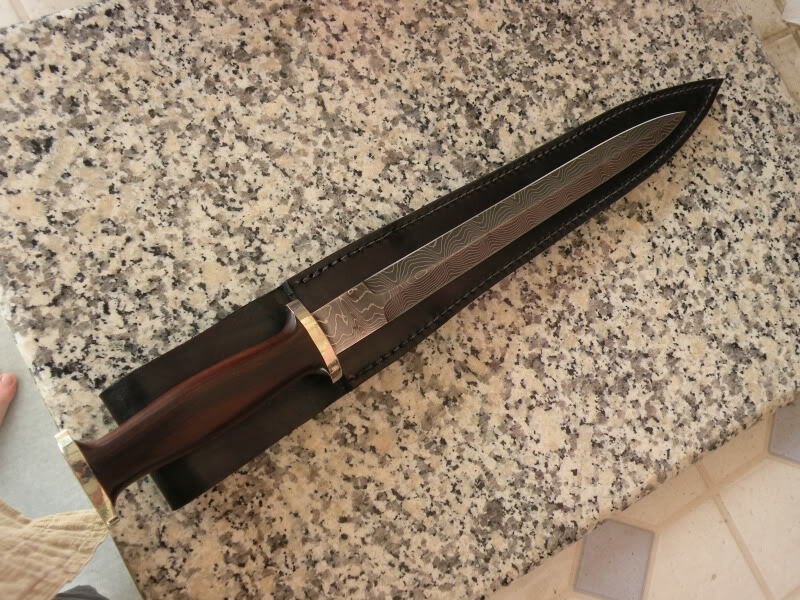 What a nice knife. Tod just makes the coolest stuff. Thanks for posting the pictures of it! Here's one I got from Arma Bohemia. It's a really nice little piece! I'm not Tim, but here you go. Photo below along with one of an antique. I don't have anything to add of my own for baselards, but I will mention that I was sorely tempted by that Arma Bohemia piece. Thanks a lot, Nathan. I thought the metal pieces would have been riveted together on the back, but it seems as if they are soldered? 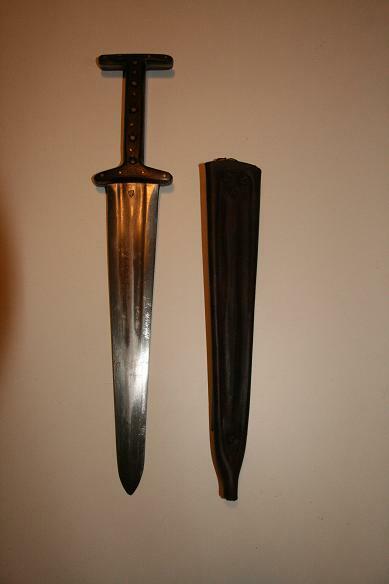 Same with the endpiece. On the original find it looks like its made from one piece. 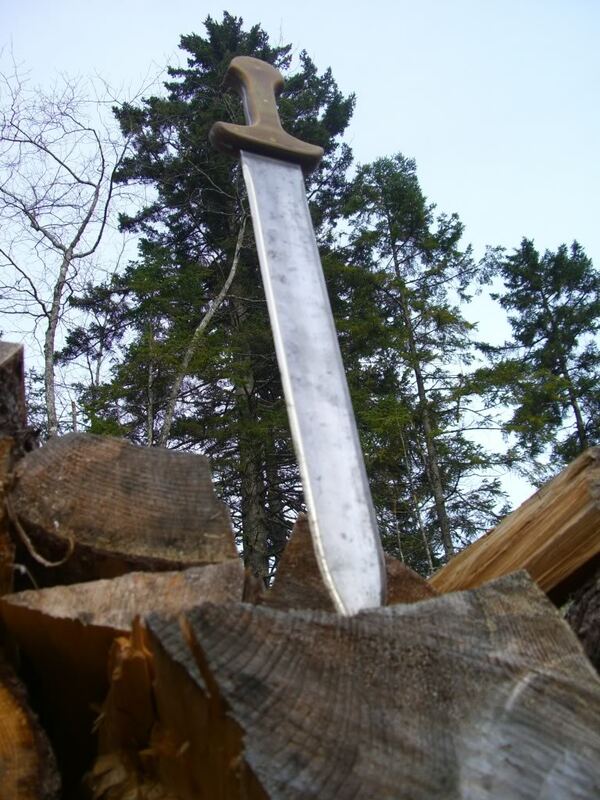 My goal is to represent a dagger from each of the five general categories of medieval daggers: ballock dagger, baselard, quillon dagger, ear dagger, and rondel dagger. I've got the bases covered except for the baselard. It's on my list. 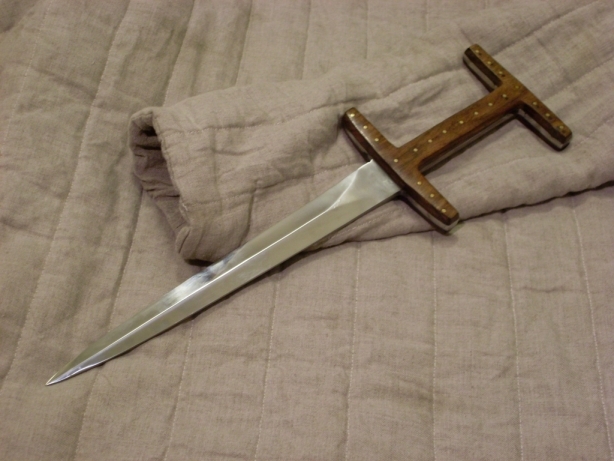 My latest purchase, a del Tin baselard with a sheath I hastily had to do. 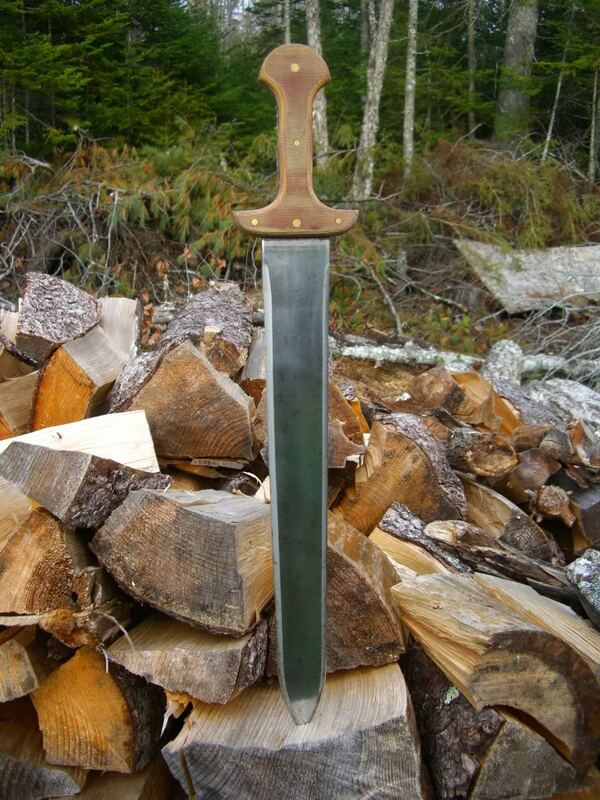 I am really in love with this dagger, it will be a very nive accessory to my 14th century crossbowmans kit. works like a charm, so im happy with it! May I refresh the topic? 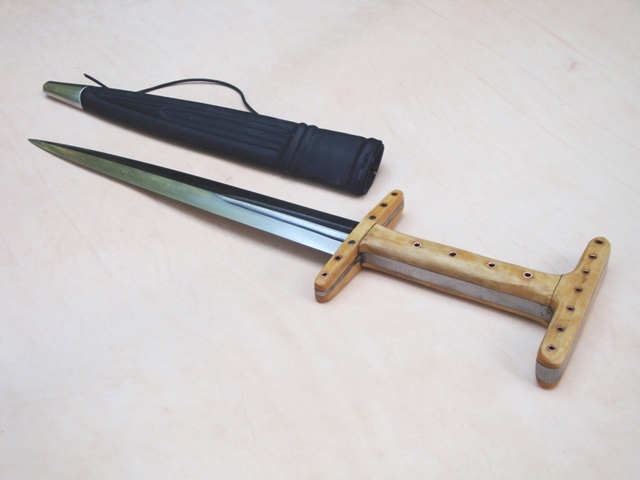 here is mine made by Slawomir Ciszewski (PL) Of course I made scabbard to it. This isn't historically accurate, but historically inspired. 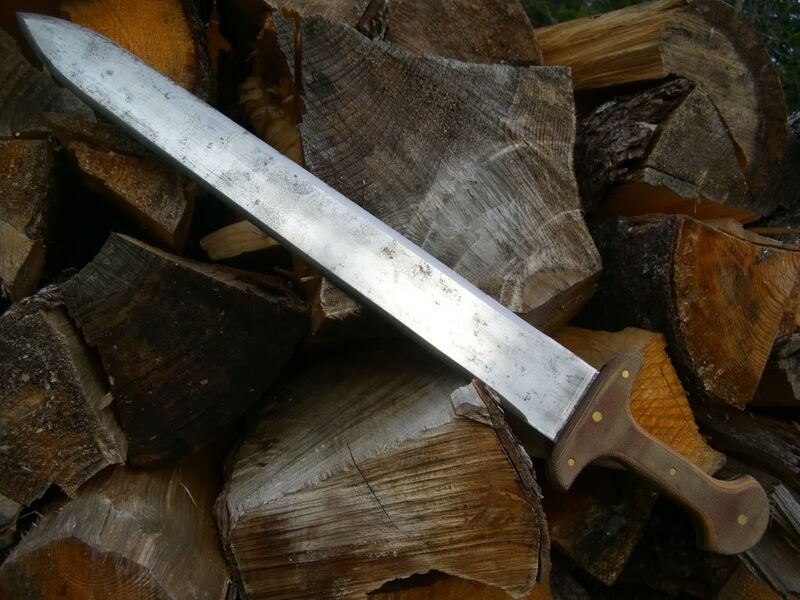 It's a sword/machete hybrid of my own design that was inspired by the baselard. Here's mine. Made by Tod, and I couldn't be happier! Actually I'm not really sure if it even classifies as a Baselard, but i think that's what's closest. 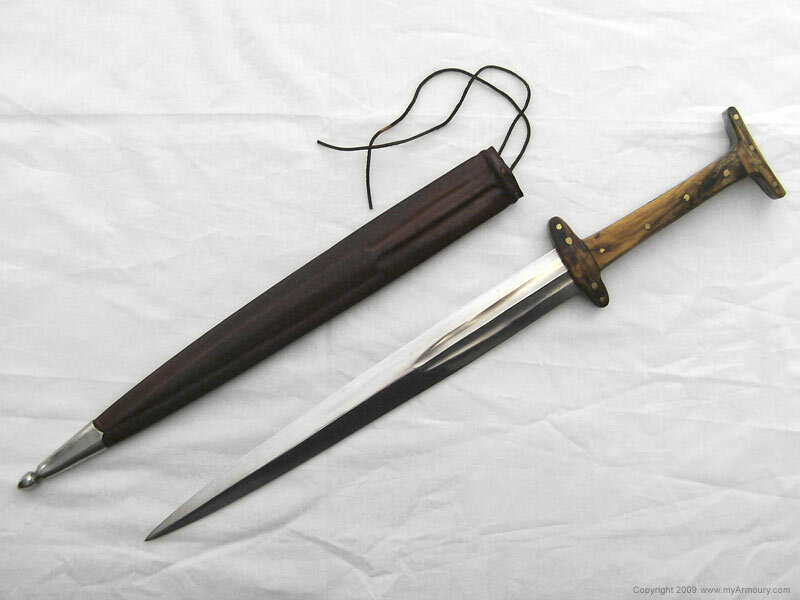 I would say this is more of a quillon dagger type. 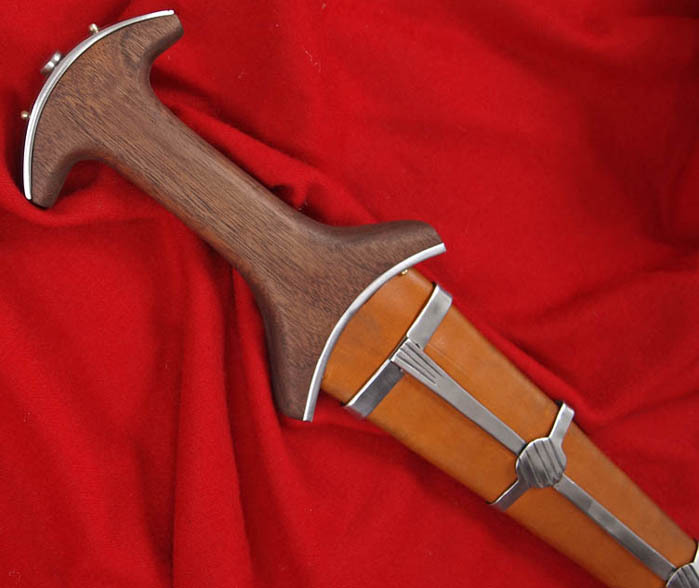 Need to re-hilt it to a more historical pattern. 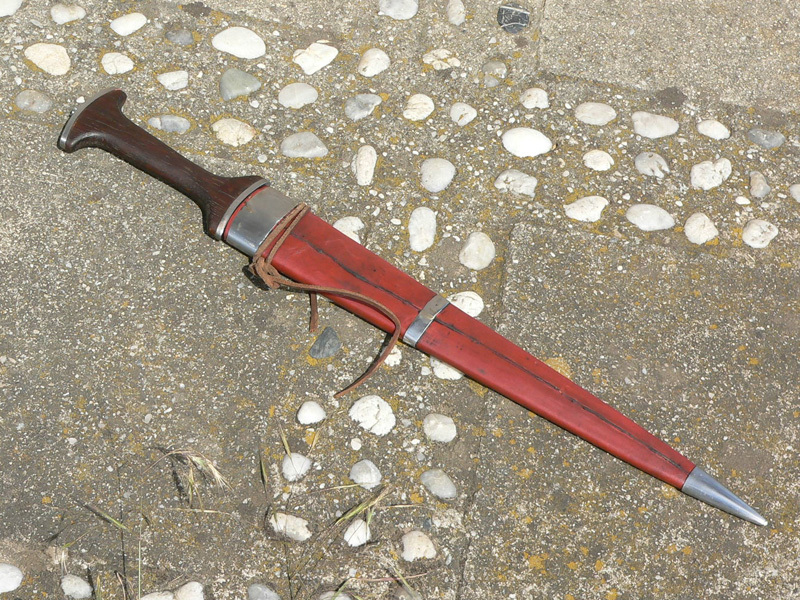 No pics of the scabbard I made for it. 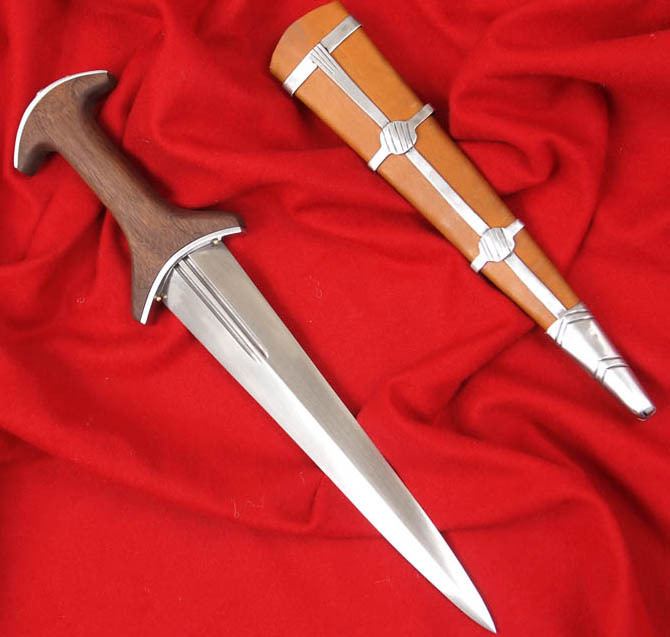 Here's a brand-new custom swiss dagger/baselard from A&A. 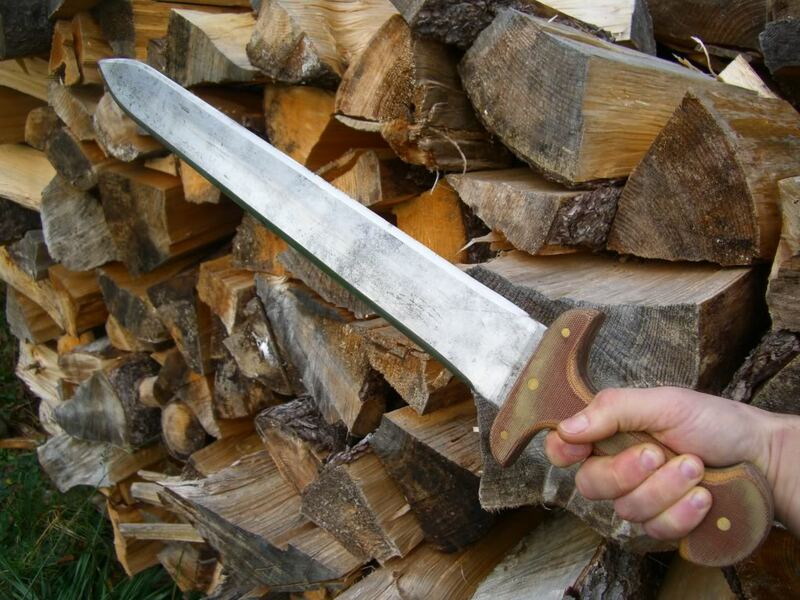 The grip is walnut, while the blade is triangular in section (mid-rib on front, flat on back). 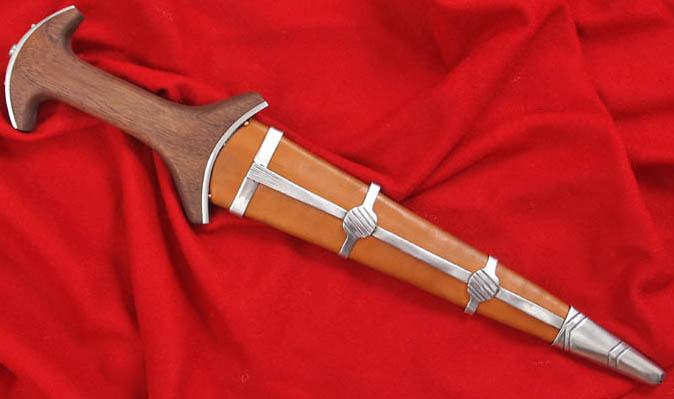 The sheath is two layers of leather with a steel frame.